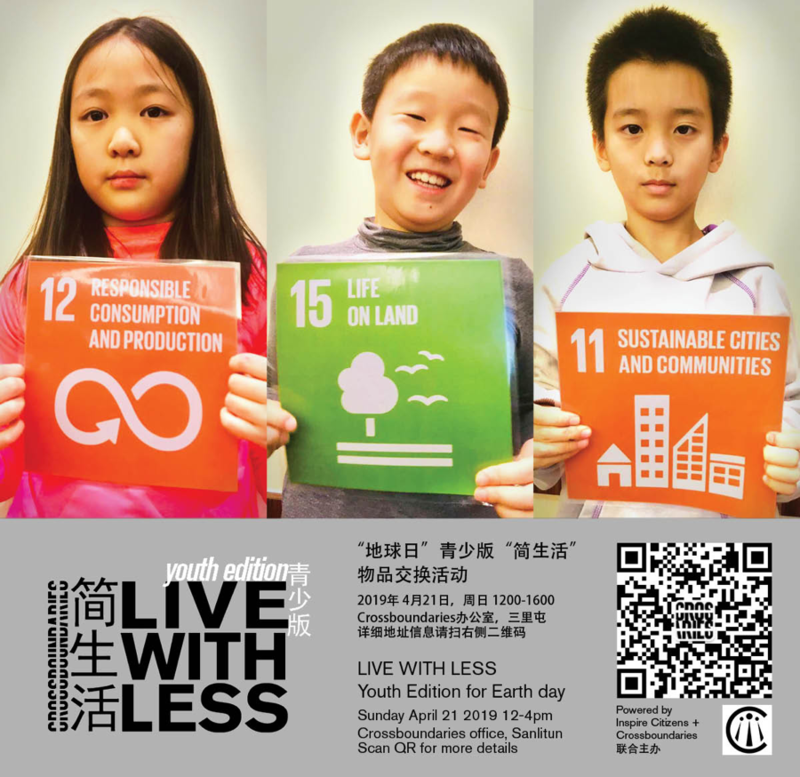 Sustainable in Beijing is our semi-regular column about sustainable lifestyle events and green news in Beijing. See more of our coverage here. One of the Instagram photos hashtagged #trashtag shows the challenge: take a photo after you clean up a place full of rubbish. This photo is shot in Nepal according to the uploader, Kelllvvviiinnn. This hashtag is also gaining traction on Weibo with its Chinese version #捡垃圾挑战# (jiǎn lājī tiǎozhàn, “garbage challenge”). 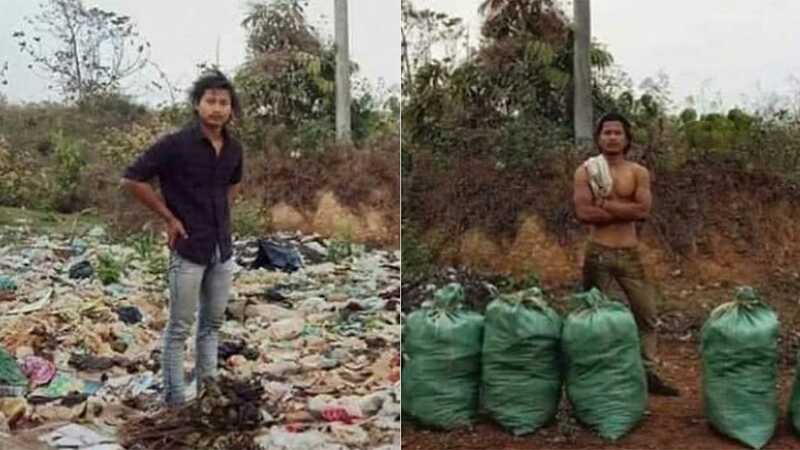 As we speak, this Chinese #trashtag has already gotten over 11,000 conversations and 31 million reads since March. Even before the #trashtag and its Weibo version came to form, an equally important challenge has already done the rounds on the social platform, helping Chinese netizens live a zero waste lifestyle: the #零废弃挑战# (líng fèiqì tiǎozhàn, “zero waste challenge”). We know that some fads on social media can fade away into oblivion just as fast they became viral, but the #trashtag challenge and its Chinese sister forms are here to stay, with several communities and organizations joining the call to post before-and-after photos of cleaning up rubbish on streets. Initiatives like this are just one of many ways we can help care for Mother Nature. But what would be even better would be if everyone produced less trash in the first place! Check out our March 2019 Sustainability issue for more ideas on how you can cut down on plastic and other rubbish. Every year in April, there are many events centering on environmental protection, mainly because of Earth Day (April 22, a Monday this year) and the concept of rebirth during springtime. Here are some activities to check out. You can also visit our Events page for more upcoming environmental events in town. The Bookworm and The Bulk House will honor Earth Day by holding a free Pop-Up Eco Market, with the goal of spreading the word about green consumption and zero waste. 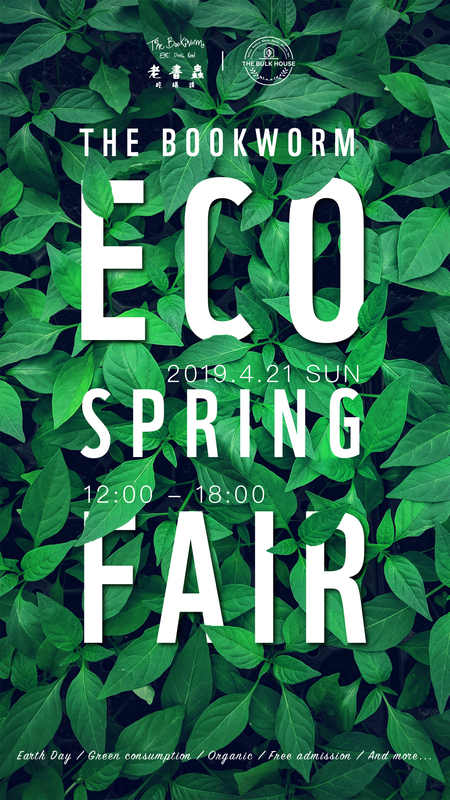 35 vendors of fine art, handicrafts, fashion, organic food, and charity from the local community will join the market and show how one can produce and consume the green way. Live With Less is a program designed to reduce excessive waste. For Earth Day, they are holding a special youth edition co-organized by Inspire Citizens’ student leaders (aged 7 to 16). This activity involves ten vendors, such as The Green Room, Sew Gorgeous, Roundabout Boutique, Fashion by Jenny, and more. At the same time, the Wild Women on the Wall 2019 will hold a special Bake Sale, in support of good causes including Agape Family Life House and Five Loaves and Two Fish. 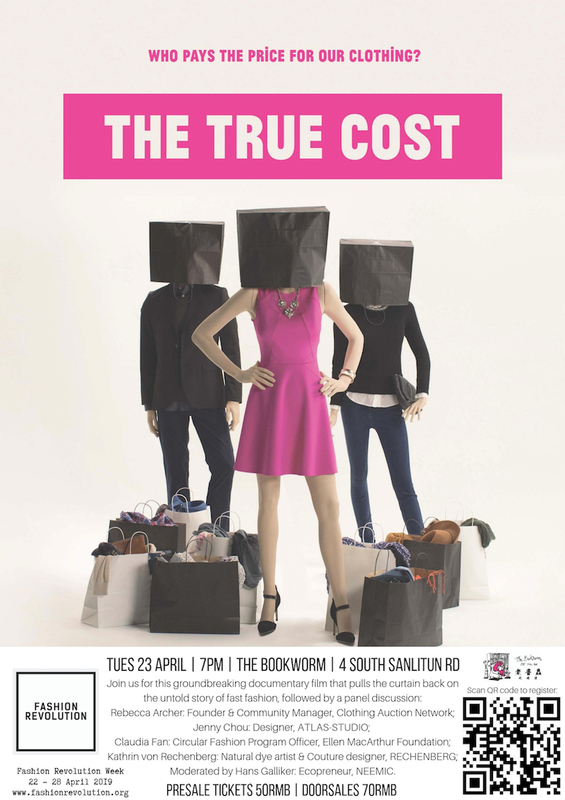 The True Cost is a groundbreaking documentary film that pulls back the curtain on the untold story of “fast fashion” and asks us to consider who really pays the price for our clothing. This screening is followed by a panel discussion with experts from Beijing’s sustainable fashion industry. A swap with a sports focus, so bring your exercise clothing and gear, or come and pick up some new stuff. Next on Sustainable in Beijing: I’ll talk about the results of the Eco-Art Challenge that I joined several weeks ago. And a big plus — more about the upcoming Plus Size Clothing Swap party.